Are you looking to upgrade the switchboard at your home or rental property in North Brisbane? Armitage Electrical has the experience to complete your electrical switchboard upgrades on time and at an all-inclusive fair price. 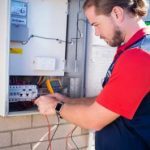 If you have an older home and are considering renovations, or are installing a pool or air con, you might need electrical switchboard wiring or switchboard upgrades. For a free quote, contact Cameron from Armitage Electrical on 0433 578 622 for a free quote or simply enquire online. Older houses with original switchboard often struggle to cope with the increased energy demands of a modern home. If you’re renovating, adding air conditioning, or installing a pool to your home or rental property, you should also consider whether your electrical switchboard wiring or switchboard needs upgrading. 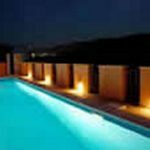 Compliant safety switches are required to be installed at your property if you’re adding a pool or aircon. 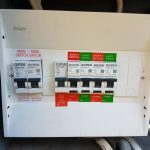 Armitage Electrical specialise in cost-effective switchboard upgrades and will ensure your home is compliant with current electrical safety standards. Contact Cameron for a quote today on 0433 578 622 or enquire online. 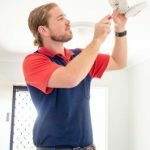 If you’re looking for an experienced, reliable and licensed electrician for a residential switchboard upgrade or switchboard wiring in North Brisbane, contact Armitage Electrical today. 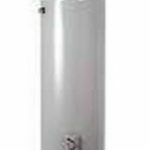 We’re known for our quality workmanship, friendly and trustworthy service and for our fair prices.